DataONE Webinar Series: The Data Flood from DataONE on Vimeo. A new focus on making research data publicly available is sweeping through the research community and being highlighted in public discussions of research. Several trends have come together to prompt this discussion: Most data generated today begin as digital rather than analog data, whether they are collected automatically by instruments connected to computers, or entered into computers for analysis after collection. A new concern about ensuring that observations, experiments, and models are reproducible requires access to original data. And the open access publication movement is accompanied by a parallel demand for open access to the data on which the publications are based. These developments challenge scientific publications to find ways to ensure data availability. They challenge researchers who are used to having exclusive access to their data for years, if not for their entire career. They challenge researchers to be more forthcoming about the basis for research. And they challenge all data repositories to accommodate and curate many more data sets. The cost of such stewardship is a challenge to universities, to research consortia, and to governments. Such open data access has the ability to change the demographics of research and the style of discovery. 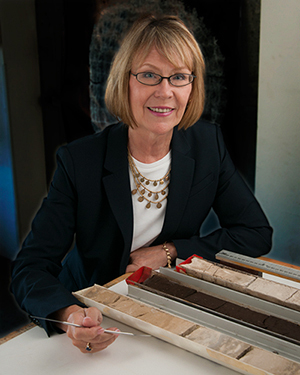 Margaret Leinen is a highly distinguished national leader and oceanographer, was appointed the eleventh director of Scripps Institution of Oceanography at UC San Diego in July 2013. She also serves as UC San Diego’s vice chancellor for marine sciences and dean of the School of Marine Sciences. She joined UC San Diego in October 2013.